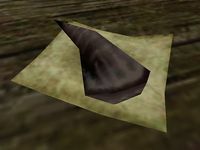 "A calming tea with modest magical properties is brewed from the thick, bitter-tasting root of the trama shrub. 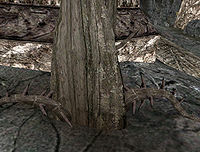 The Trama shrub grows in the bitter, ashy soils of the Ashlands, Molag Amur, and Red Mountain." 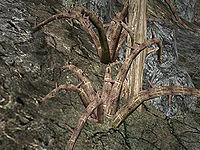 Trama Root grows in decent quantities in most of the dryer regions of Vvardenfell. Trama Shrubs can contain as many as two or three samples, while the roots mostly will have only one if any. This page was last modified on 20 December 2018, at 00:04.